There are a plethora of books on leadership and how to succeed in life. However, in my opinion there is a very simple formula that, if followed, will enable you to succeed at whatever it is you are called to do. Here is my list (no book required). 1 – Be nice to people. 2 – Do what you say and say what you do. 3 – Celebrate mistakes and learn from them. 4 – Be humble when you succeed. 5 – Repeat steps 1 through 4. 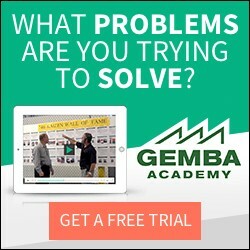 Q&A During a Recent Gemba Walk	Say it ain’t so! Toyota lay people off?